I do like Portia MacIntosh’s novels. They are always fun and lighthearted with some hilarious moments to keep you laughing out loud. This novel is no different. Truth or Date has a certain “expectedness” to it which I don’t always find in MacIntosh's writings though– this was disappointing. I don’t think I’d be giving anything away to say that you’re very soon aware of how the novel will end. That being said I don’t think the delivery was disappointing. 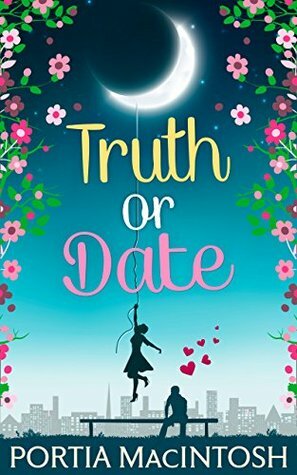 There’s still a touch of the outlandish about Ruby- she’s just on the right side of mayhem in her dating game and truly I believed she was trying her very best to find the right one. She just wasn’t having any luck and her roommate Nick just kept creeping into her periphery and making himself known until she had to tackle the situation once and for all. All in all a fun and sweet novel!